The first uniformed guest we’ve had on the show is Ranger Joe Korber, however, due to the government shutdown the day we recorded the episode, Joe had no uniform or Smokey campaign hat on. Joe is a veteran of the national park service, a lifelong Queens guy, and a musician. We chat about the two national parks where he works, Teddy Roosevelt National Historic Site (Joanna has never visited) and Governors Island National Monument (Joanna has never visited). He also worked for NYC Corrections on an entirely other island… Joe is a bagpiper and we get the scoop on that passion, as well as where the heck can you find a good pint of Guinness in this town? Congratulations to Joanna for completing her vegan challenge. We recorded for the first time in the pool room of The Lambs. 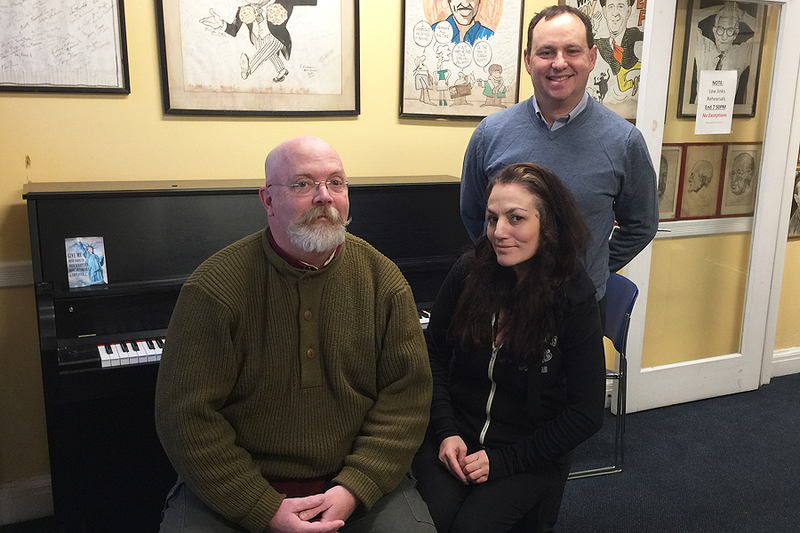 This entry was posted in News, Podcast and tagged Governors Island, Joanna & Kevin's Big Show, Joanna Holliday, Podcast by Kevin Fitzpatrick. Bookmark the permalink.